Posted on May 28, 2018 at 12:19 pm. 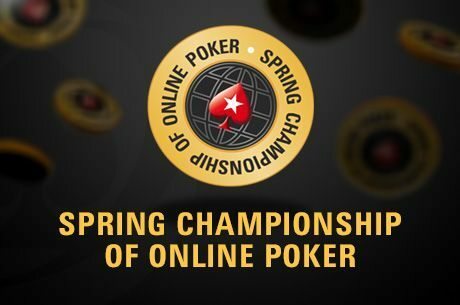 THE Spring Championship of Online Poker (SCOOP) has become one of the largest ever with over $91 million payed out in prizes. The huge bounty tops the $65 million guarantee but falls short of the $94 million record set last year, which was the largest ever online poker series. Failing to match last year’s figure is put down to a number of factors but undoubtedly Pokerstars decision to leave the Australian-market impacted the overall figure. The SCOOP tournament ran from May 6-23 and featured 183 events, with 28 of them featuring a guaranteed million-dollar prize pool. The main event featured a guaranteed $5 million prize. In it’s 10th year, SCOOP had over 140,000 competitors from 141 different countries for a total of 1,071,706 entries. Tournament buy-ins for the series began as low as $2.20 and ranged up to $25,000. “The Spring Championship of Online Poker is one of the most important highlights of the annual poker calendar,” Stars Group CEO Rafi Ashkenazi said. Five Pokerstars No Limit Hold’em Championship (PSPC) Platinum Passes were awarded to SCOOP main event winners across the different buy-in levels. The PSPC will be held in the Bahamas in 2019 with it expected to be the largest $25k buy-in poker tournament in history. Meanwhile, International Entertainment Corporation (IEC) boss Stanley Choi says he is close to finding a new host for Pokerstars live events in Macau. Pokerstars LIVE Macau poker room at the City of Dreams closed last month, and while Choi did not reveal the new location, he said it would be smaller than its predecessor. Choi also said he was working on conjunction with Pokerstars on an Asian poker series.